The Haiti National Council of Government (French: Conseil National de Gouvernement, CNG) was the ruling body of Haiti from 1986 to 1988. 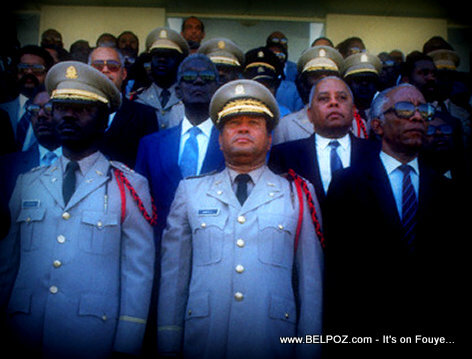 The council was first established on February 7, 1986 as a joint military and civilian provisional government following the exile of President for Life Jean-Claude Duvalier. The council consisted of a President, Lieutenant General Henri Namphy, and five Members, three from the military and two civilians. The military Members were Colonels Williams Régala, Max Valles, and Prosper Avril, while the civilian Members were Gérard Gourgue and Alix Cinéas.